So! I have a lot to catch up on...How about we make some soap? 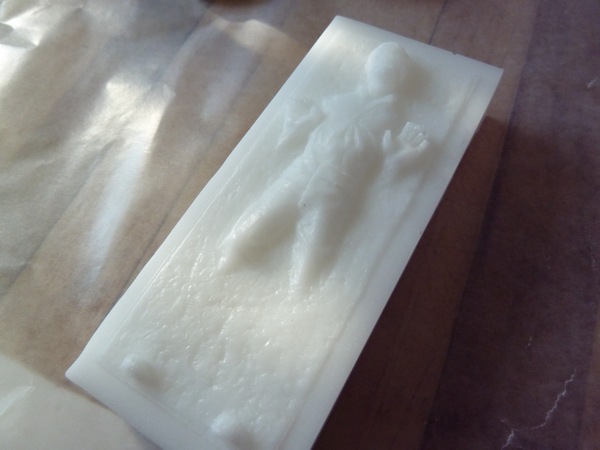 Some Han Solo in carbonite soap! 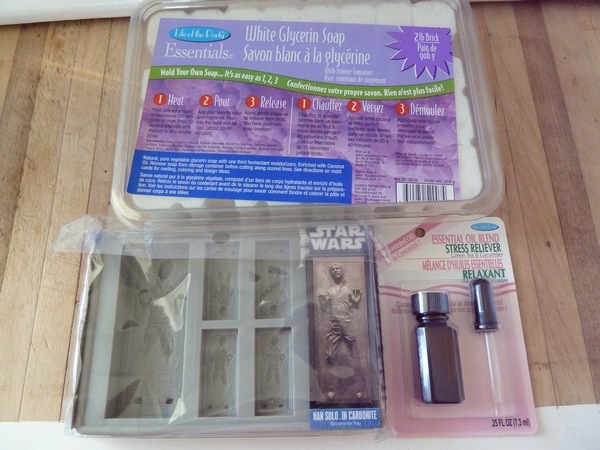 Friend E bought us the super awesome Star Wars Han Solo ice cube tray for Christmas, and with a couple Michael's 40% off coupons, we picked up a 2 pound block of opaque glycerin and some essential oil. 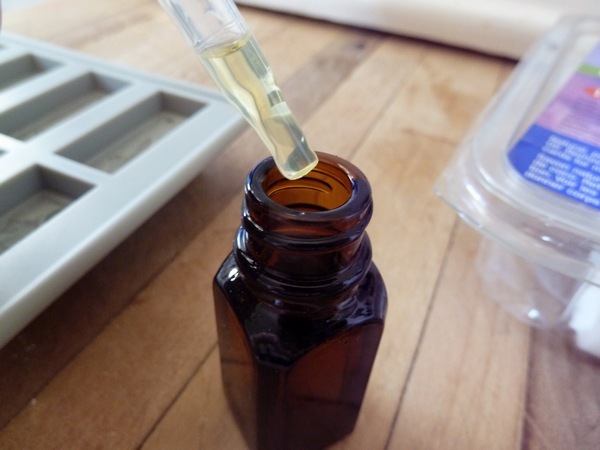 I bought the green tea cucumber essential oil, it smells so good! It reminds me of the cucumber melon scented body splash I had as a teen. So fun. 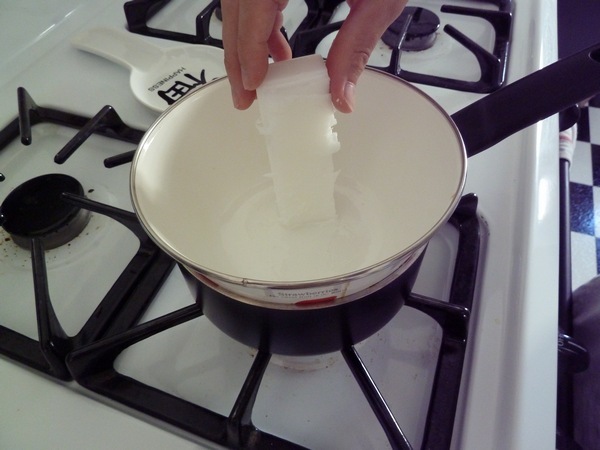 We put in three drops once the soap was melted. Mix, and pour into the mold! I read somewhere that spraying alcohol on the soap and mold helps take care of the bubbling, but I didn't try it this time. It didn't seem too bad, but it's not the most even either. We left it to cool while we went grocery shopping, and popped them out easily once we returned (A half hour or so). 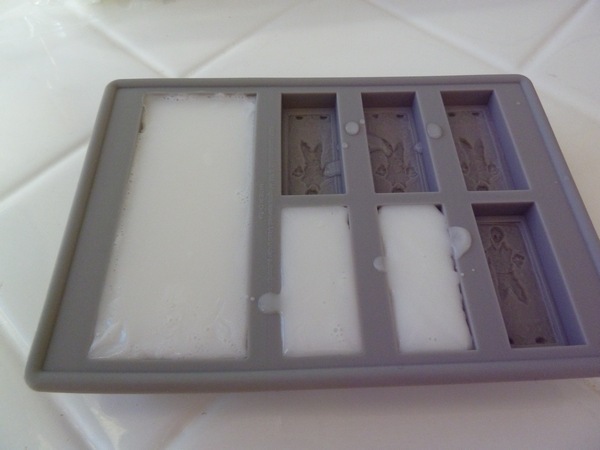 Silicone molds are heavenly. 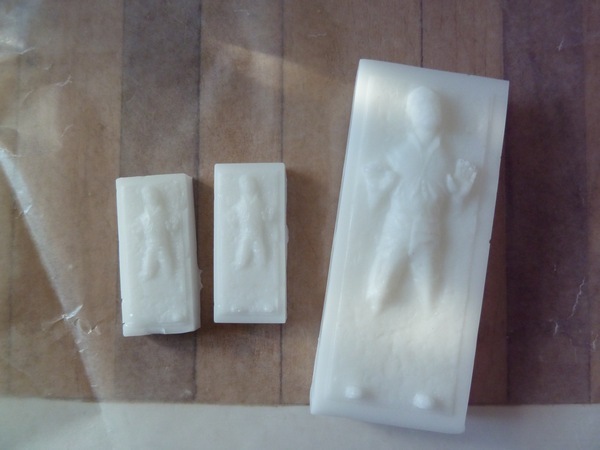 The little guys are too small to really be used as soap, but I had leftovers. I might melt them down again to make more of the big ones, though unfortunately I can only make one at a time! 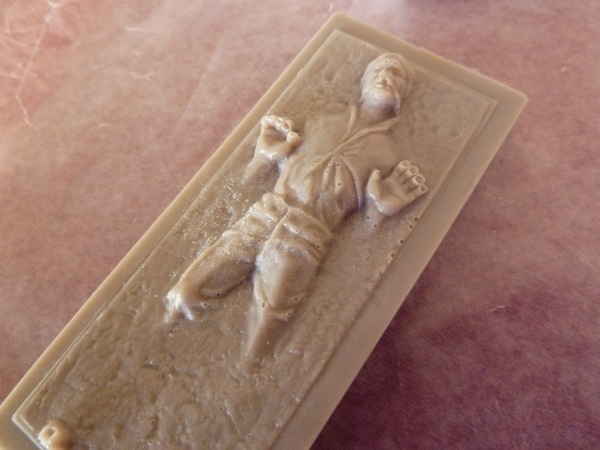 I think I should learn how to make my own molds while we're at it. 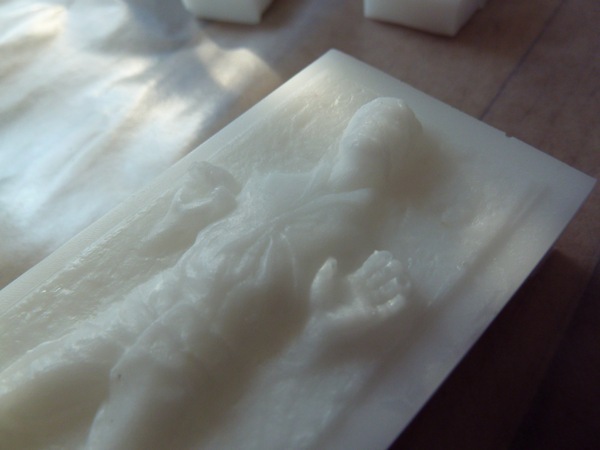 Sak thinks maybe I should add color to the soap to make the relief stand out more, but something about coppery, metal colored carbonite soap freaks me out. Soap should look like it makes you cleaner, right? 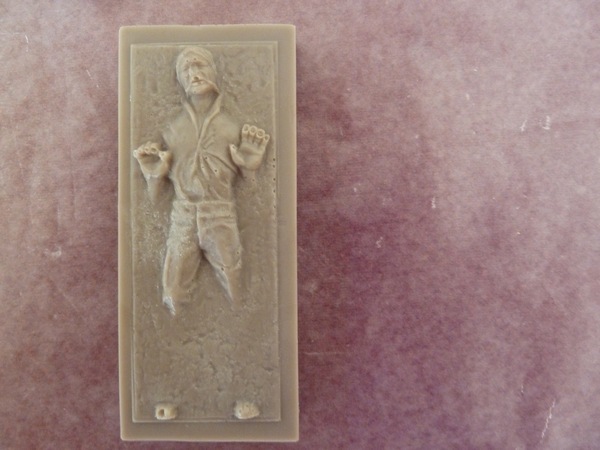 If I added a little red just to the "Han" part of the soap, would that help? Or would it just look like a scary bloody man coming out of a door? Haha. 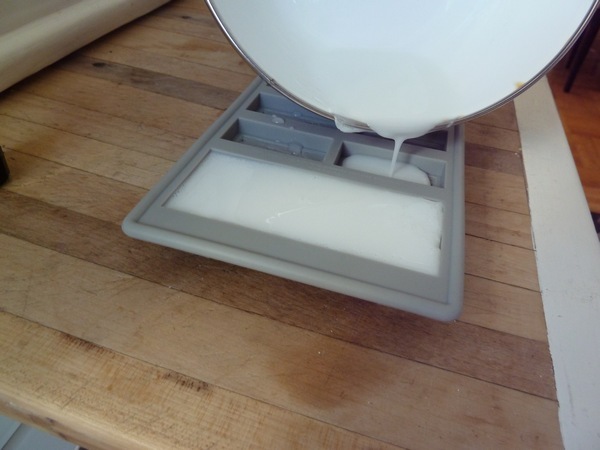 Next I want to try making oatmeal soap, it's my favorite! Do you have a favorite soap type? (Update!) I tried again, this time mixing red, yellow, blue and green food coloring to get a brownish color. It's not too unappealing, and actually makes the relief stand out much better! Coolest soap ever!!!! Glad to have you back! Michaels had them in the soap/candle making section..a bunch of different scents for 3.99 each (reg price). They scan phone coupons now, which is really convenient! This is awesome!! I agree, you need an Etsy shop or something! that is so cool. 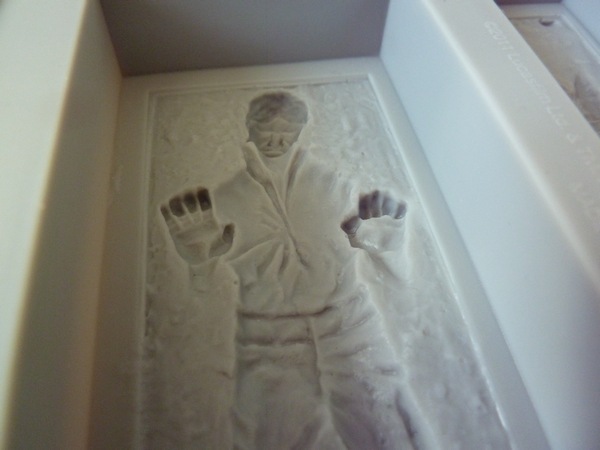 i love that carbonite hans solo smells of green tea cucumber.